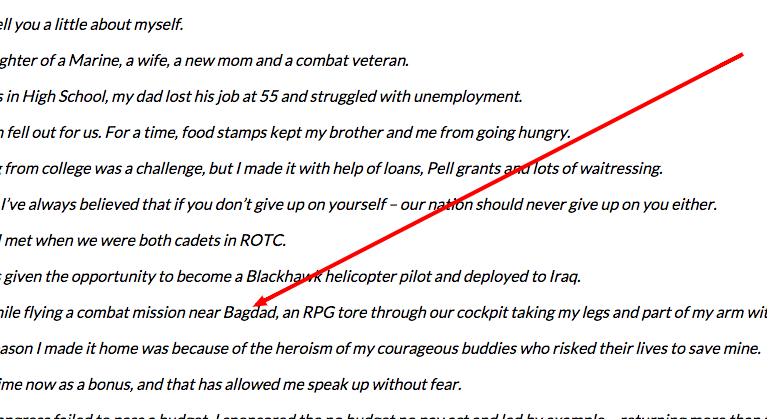 You'd think that the staff at Tammy Duckworth's US Senate campaign would catch something like this: the spelling of Baghdad on her announcement. After all, this moment is SOOOOOOOO central to the Tammy Duckworth story and campaign. You'd think they'd spell the city where the incident occurred properly. Fumbled announcement. Spelling errors. Seems like we're going to have plenty to cover on this race. All this 'yes she is', 'no she isn't', doesn't portray the Tammy Duckworth for United States Senate campaign in the best light. Clearly...NOT the *worst* campaign rollout (ahem...Mike Frerichs), but not a good start for her campaign. Why would you give her dough when she can't even get this straight? Rich Miller, over at CapitolFax, labels this fumbled campaign announcement 'somewhat odd' and we have to agree. 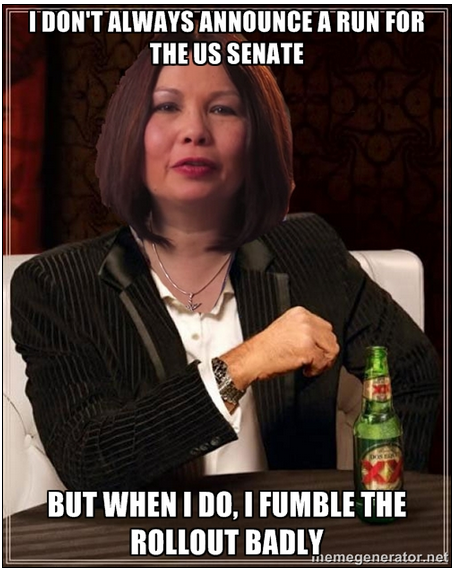 Duckworth, will be facing off against Senator Mark Kirk - who is seeking re-election. We'll be watching the Duckworth/Kirk race closely as we hope it will give us as much material as the Frerichs for Treasurer race ever did.